1. 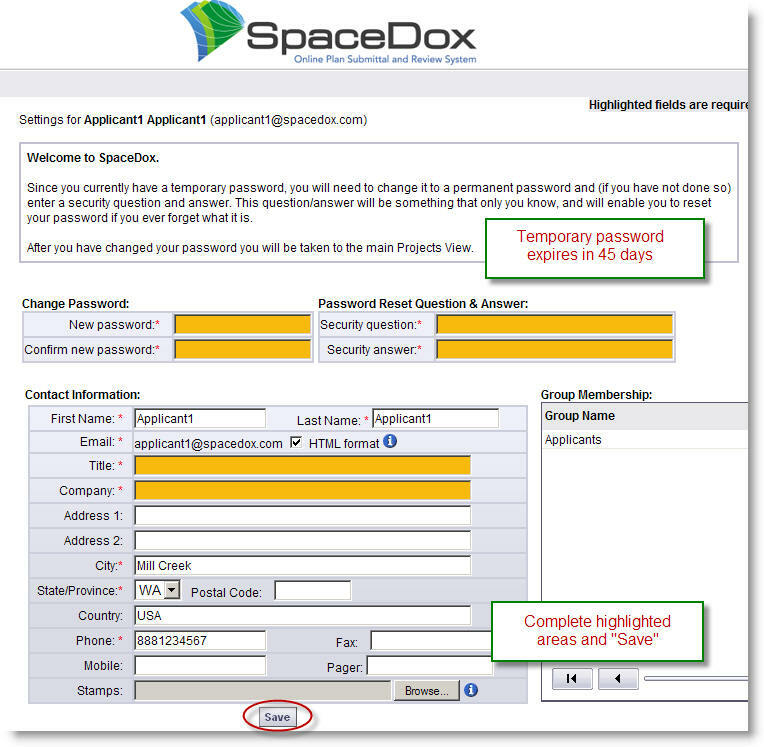 You will receive an invite email from Spacedox containing your temporary password (expires in 45 days). email subject: "Welcome to Spacedox of "Your City"
2. At the login screen, http://www.spacedox-live.com/main enter your e-mail address and the temporary password provided in the invite email. The first time you access the Spacedox site, the user Profile screen displays (see screenshot below). You must change your temporary password and enter your user information (required fields display with colored highlight). Passwords are encrypted and you are prompted for a question and answer password hint. 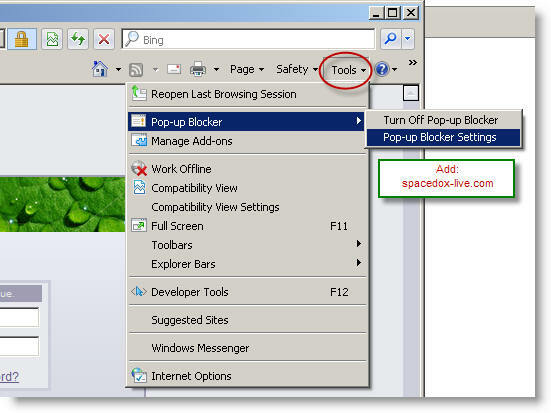 You can access this screen again at any time by clicking the Profile button in the main Spacedox button bar. If the "Install SpaceDox Components" link gives you an error message your IT administrator will need to allow these active-x components to be installed (normally a global setting). 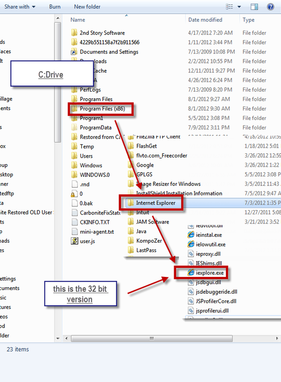 We provide the MSI (Microsoft Software Installer) that works for this purpose. The login page has an MSI (Microsoft Services Installer) link for quick and easy downloading and installation of all necessary Spacedox Active-X controls. 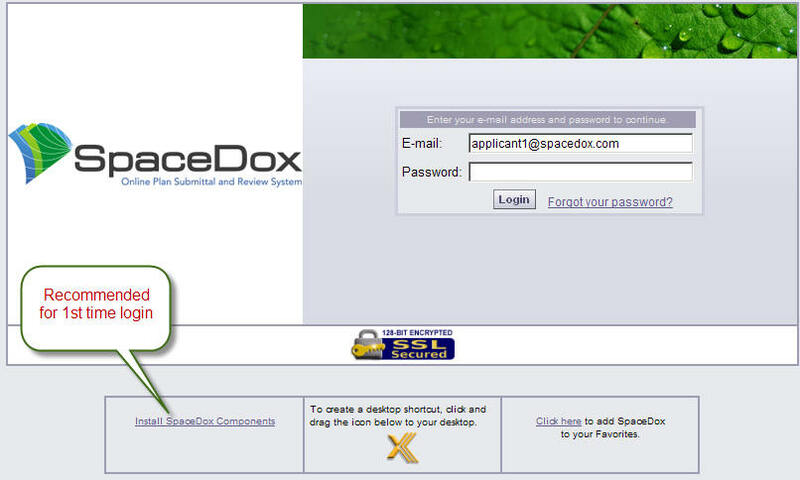 (located on the bottom left of login page) Click the Install Spacedox Components link. 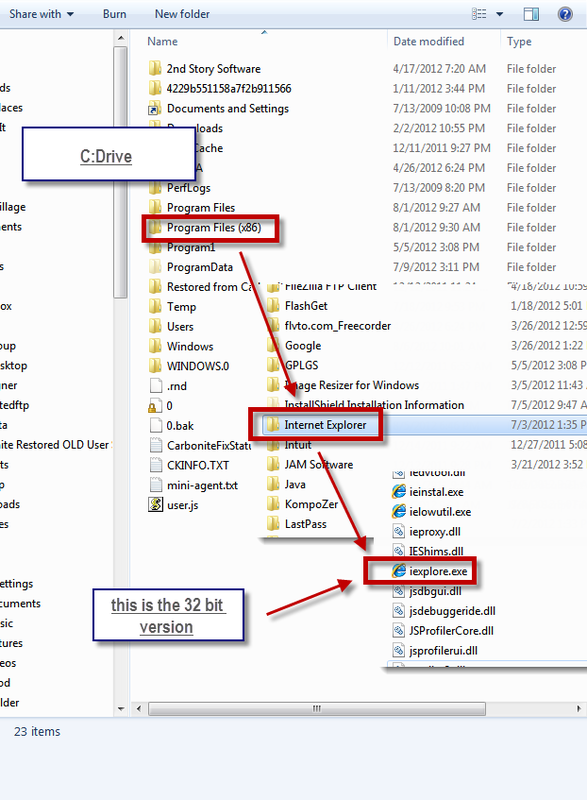 Alternatively, the network administrator can distribute the MSI via any method already in place. "Communications with Brava server error"
1. 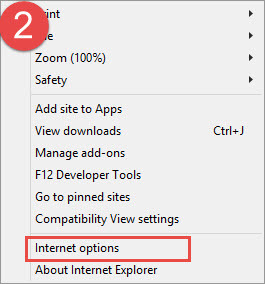 Click the Tools icon on the right corner of your IE 10/11 window. 2. 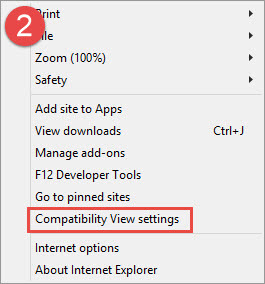 Choose “Compatibility View settings” from the drop-down list. 3. 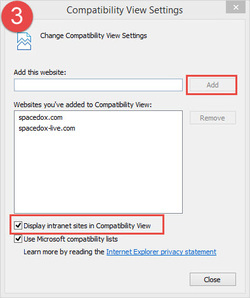 Add www.spacedox-live.com to the compatibility list. 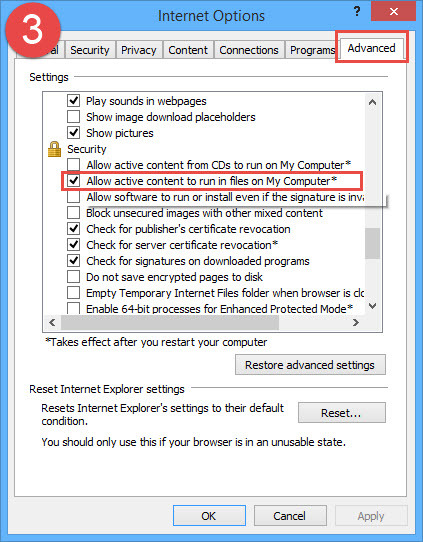 If you are using Internet Explorer 10/11, you will also need to change the security settings in Internet Options so that Internet Explorer 10/11 will be able to view the files using the Active-x Brava viewer. "Communications with Brava server error"
1. 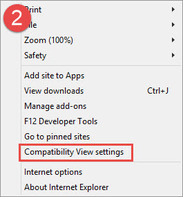 Click the Tools icon on the right corner of your IE 10/11 window. 2. Choose "Internet Options” from the drop-down list. 3. Click on the "Advanced" tap, scroll down until you find "Security" and check "Allow active content to run in files on My Computer"